Army Air Forces.. BEE TEE 43-G, Army Air Forces, Basic Flying School, Gardner Field, California, May 1943 and Graduation Dinner Dance, Air force Basic Flying School, Gardner Field, California, Class 43-G, Bakersfield Motel Inn, Bakersfield, California, May 16, 1943. 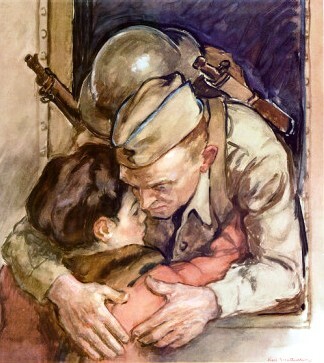 Army Air Forces, 1943. Two items pertaining to Army Air Force flight training in WWII. Both VG: clean copies which have no noticeable flaws and are unfaded. Both with color pictorial covers (stiff wraps: 8.5"x 11"). BEE TEE is a class book of 43-G. Photographs of aircraft in flight & on the ground, and one of cockpit interior. Full-page photo of Bob Hope and Frances Langford, who visited the field. Photos of all training officers and all flight cadet, including a full page photo of one cadet who was killed during training. Also candid shots around the base and photos of the "Squadron Sweethearts". Graduation Dinner Dance, Class 43-G, is a single piece of stiff paper, folded to make covers & two interior pages, 8.5"x 11". Inset photo of color guard on cover. First page contains roster of staff officers, and flying officers. Second page contains menu and large photo of "Linda Darnell, Class 43-G Angel". A real looker. Back page contains full roster of newly graduated flight cadets by squadron. Davis, Donald A., LIGHTNING STRIKE: The Secret Mission to Kill Yamamoto and Avenge Pearl Harbor. NEW copy. St. Martin's Press, 2005. Hardcover with dust jacket. Photographs, 400 pages. "Five American airmen hunt down and kill the admiral of the Japanese navy in WW II. 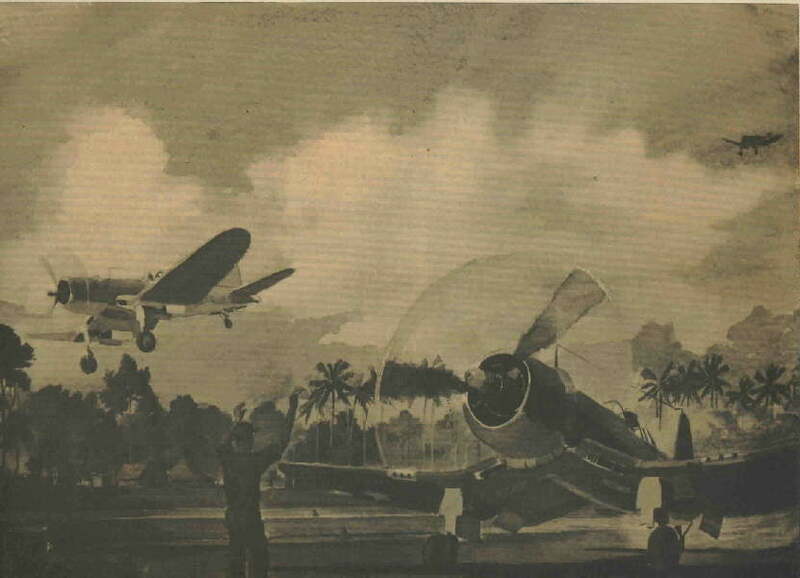 After Yamamoto’s plane is blown out of the sky over Bougainville, the Japanese navy loses every battle in which it engages. If we didn’t know better, we’d think this scenario was that of an alternate history. It is, of course, a true story. ~~ Imagine if the Germans had somehow managed to kill Eisenhower or Patton. It would have been the equivalent for America. Yamamoto wasn’t just an admiral. He was a policy-maker, a hero, a paragon of the Japanese warrior. The loss was a major blow to morale, from which their navy never recovered. ~~ Given the raw drama of the tale, Lightning Strike was bound to be a page-turner. It would almost be hard to mess up a story like this. The writing style of author Donald A. Davis, though, adds to the edge-of-your-seat reading experience. With a knack for action writing and getting into the heads of those involved, he takes you through all the stages of the seemingly impossible mission—focusing on the Americans in the middle of it, as well as the Japanese on the receiving end. You get an inside view to all the planning, replanning, action and courage, plus a detailed description of the wreckage and aftermath. Lightning Strike is a fast-reading reenactment of one of the war’s most remarkable missions." Baisden, Chuck, FLYING TIGER TO AIR COMMANDO. NEW copy, hardcover with dust jacket. (Atglen, PA: Schiffer Books, 2001). Over 100 b&w photographs, 160 pages. 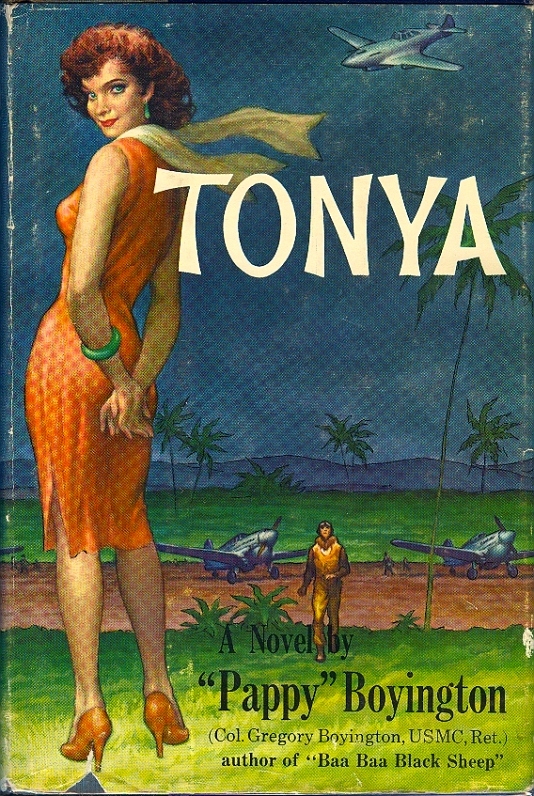 Boyington, TONYA. A novel based on Boyington's experiences in the Flying Tigers. 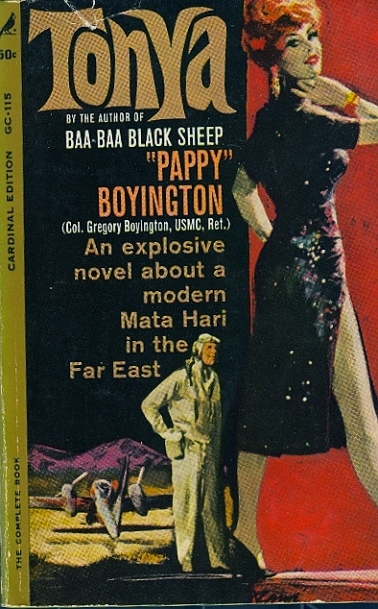 "Tonya", described on the dust jacket flap as "...the self-confessed nymphomaniac wife of an American pilot..." was based on the real-life Olga Greenlaw, wife of Chennault's executive officer, with whom Boyington had a number of "liasons". Boyington, TONYA. A novel based on Boyington's experiences in the Flying Tigers. "...She wasn't handing out doughnuts & coffee..."
Losonsky, Frank S. & Terry M. Losonsky, FLYING TIGER: A Crew Chief's Story. NEW copy, hardcover with dust jacket. (Atglen, PA: Schiffer Books, 1997). Over 200 photographs, 112 pages. 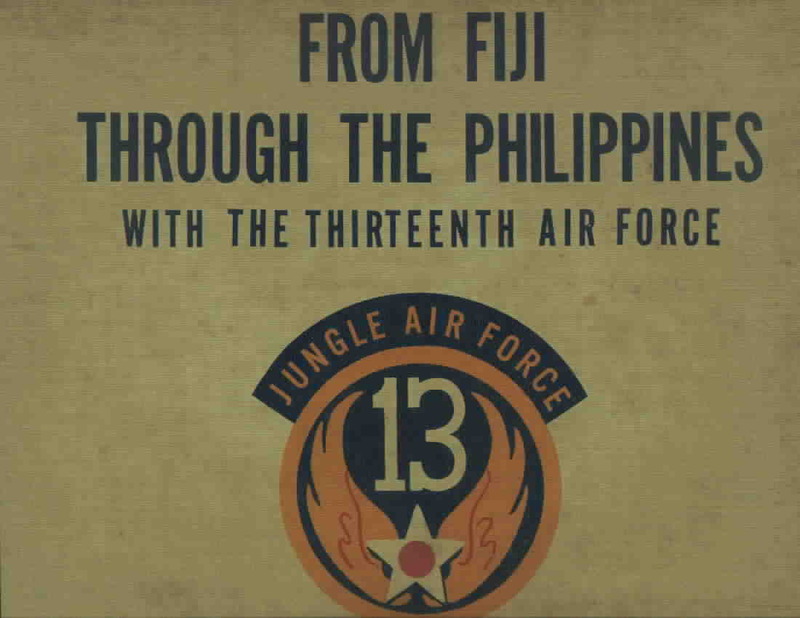 This new book is the war diary of a Flying Tiger American Volunteer Group crew chief from the 3rd Pursuit Squadron. 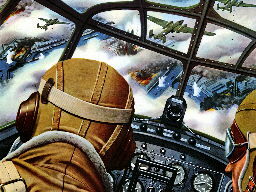 Much of the Flying Tiger history is written from the pilot's viewpoint. These brave pilots deserve much praise, but those who fixed the aircraft and kept them flying also have a story to tell. Though their story is perhaps not as flashy, it is quite interesting and very much in tune with the everyday spirit of that intense period before America entered the World War II. This book contains Losonsky's war diary, which is supplemented with interviews and dialogue, and includes over 200 unpublished photographs. This format provides the reader with a multi-dimensional view of the period. Flying Tiger will give aviation historians new insights into the days shortly before the Flying Tiger successes in late 1941. Molesworth, Carl. 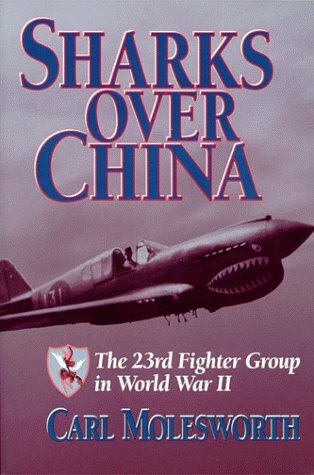 SHARKS OVER CHINA: The 23rd Fighter Group in World War II. NEW copy, hardcover with dust jacket. (Edison, NJ: Castle Books, 2001). Map, photographs, rosters, appendices, notes, bibliography, index, 325 pages. ~~~ The shark-faced P-40 fighter planes that patrolled the deadly skies over China during World War II hold a special fascination for aviation and military history enthusiasts. Yet even now, more than fifty years later, little is known about the employment of those extraordinary machines, the courageous men who flew them, and the very different kind of war they fought. And much of what people think they know is wrong. Sharks Over China sets the record straight. It is the first history of the U.S. Army Air Corps unit that incorporated Gen. Claire Chennault's famous Flying Tigers - the 23rd Fighter Group. 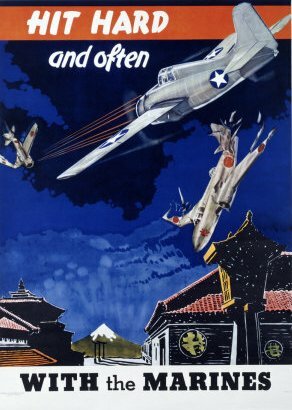 During the dark days immediately after Pearl Harbor, most news from the Asian front was bad - with the exception of reports about the Flying Tigers and their successor, the 23rd. Day after day, the P-40s of this legendary unit outfought the powerful Japanese air forces despite acute shortages of men and material. No single American fighter group in World War II performed more varied missions, was more successful, or was more central to the war effort in its theater of operations. By the end of the war, the 23rd had tallied nearly six hundred aerial victories and destroyed nearly four hundred more Japanese aircraft on the ground. Based on eyewitness interviews with the group's survivors and containing numerous rare photographs, Sharks Over China belongs in every World War II and aviation library, right next to another classic about the 23rd Fighter Group, God Is My Co-Pilot. 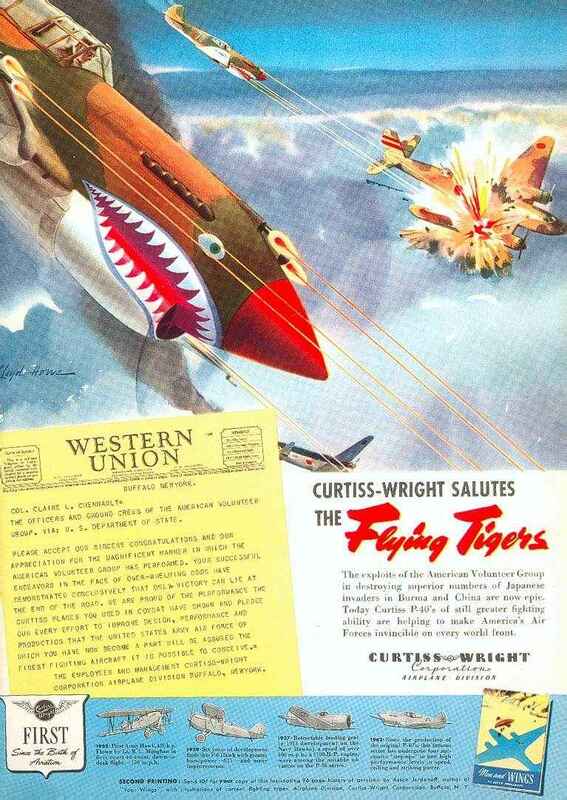 ~~~ From Publishers Weekly: "In 1942 the 23rd Fighter Group of the U.S. Army Air Force replaced the American Volunteer Group (`Flying Tigers') in China, inheriting their famed shark-mouthed P-40s as well as their difficult mission. Short of pilots, planes, fuel and ammunition, based at primitive airfields vulnerable to the Japanese, the 23rd developed special tactics to become the highest-scoring aerial unit in the China-Burma-India theater, achieving 594 aerial victories while destroying some 400 Japanese aircraft on the ground. Drawing on interviews, diaries, letters and unit histories, Molesworth (Wing to Wing) has stitched together a chronicle of a gutsy, resourceful outfit whose tasks included escorting bombers, bombing bridges, strafing troop trains and raiding enemy airfields." Smith, Robert M., WITH CHENNAULT IN CHINA: A Flying Tiger's Diary. NEW copy, hardcover with dust jacket. (Atglen, PA: Schiffer Books, 1997). Over 110 b&w photographs, 176 pages. ~~~ Smith was a radioman with the American Volunteer Group in Burma and S.W. China from mid-1941 to mid-'42. His duty gave him immediate information on air action while allowing the time to keep a rather detailed & articulate diary. 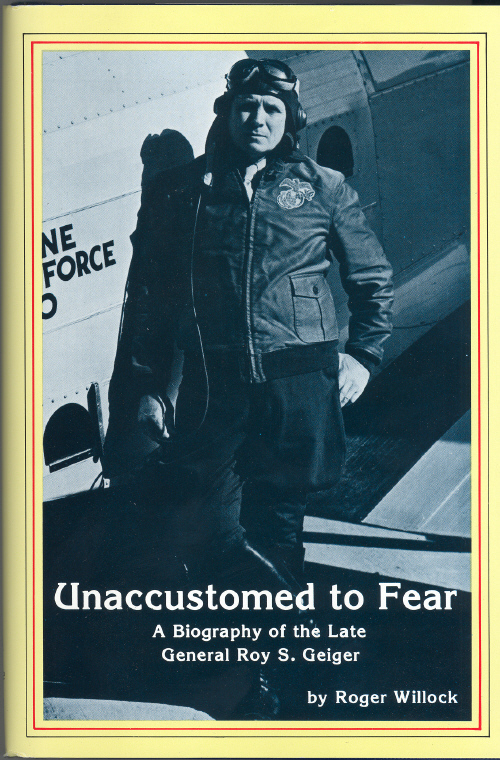 [Geiger] Roger Willock, UNACCUSTOMED TO FEAR: A Biography of the Late General Roy S. Geiger. Ray Geiger's World War II service began in Guadalcanal as a Brigadier General with command of the 1st Marine Air Wing, Fleet Marine Force headquartered at Henderson Field. After a stint of Washington duty, he returned to the Pacific to relieve General Vandegrift as commander I Amphibious Corps. He led his Corps, then re-designated the II Amphibious Corps, in the invasion of Guam, Peleliu, and on Okinawa under General Buckner's Tenth Army. On Okinawa, he briefly commanded the Tenth Army after Buckner was killed and before General Stilwell took over, thus becoming the first and only Marine officer to command a field army. At the time of the surrender he was commander of the Fleet Marine Force, Pacific. 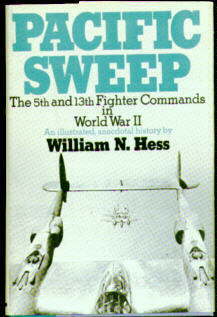 Hess, William N, PACIFIC SWEEP: The 5th and 13th Fighter Commands in World War II. Doubleday & Company, Inc., NF/NF. Clean copy, no obvious flaws. Photographs, appendices, index, 278 pages. Bueschei, Richard M, KAWASAKI Ki-61 HEIN IN JAPANESE ARMY AIR FORCE SERVICE. NEW copy, oversized paperback. (Atglen, PA: Schiffer Books, 1996). 8.5x11. Over 100 b&w photographs, 64 pages. 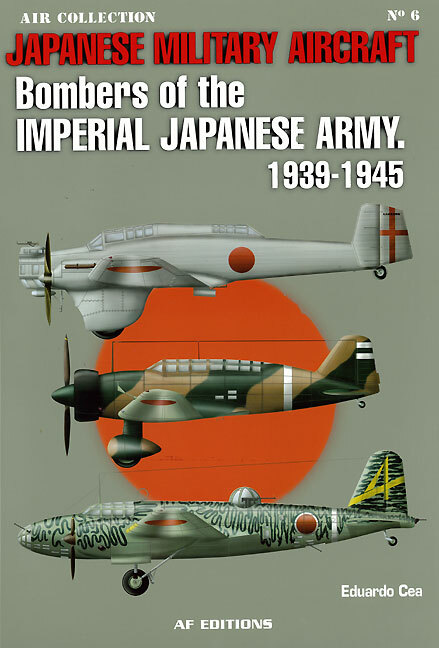 ~~~ Richard Bueschel revises and updates his classic series of books on Japanese Naval and Army Air Force aircraft of World War II. 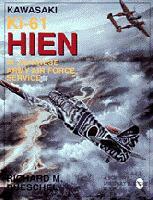 The JAAF Kawasaki Ki-61 HIEN (Tony) is presented in this volume. 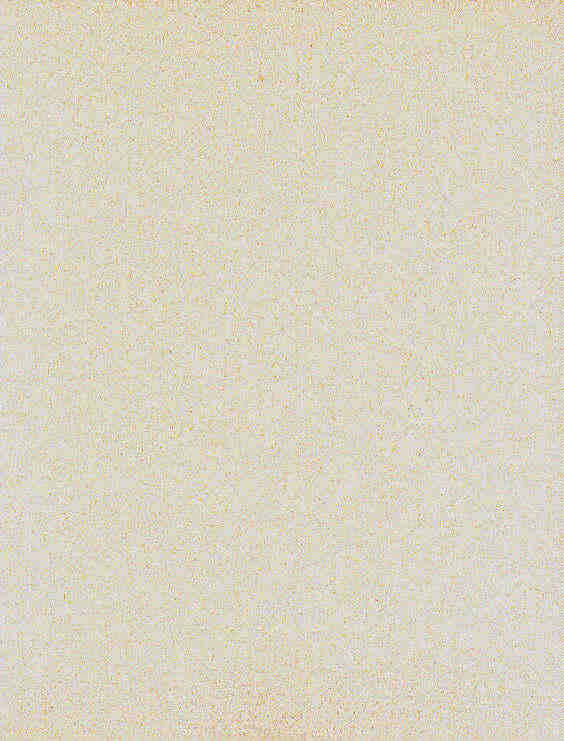 All variations and markings are covered in this the fourth in a projected multi-volume series. Bueschei, Richard M, MITSUBISHI A6M-1/2/-2N ZERO-SEN OF THE JAPANESE NAVAL AIR FORCE SERVICE. NEW copy, oversized paperback. (Atglen, PA: Schiffer Books, 1995). 8.5x11. Over 150 b&w photographs, 64 pages. 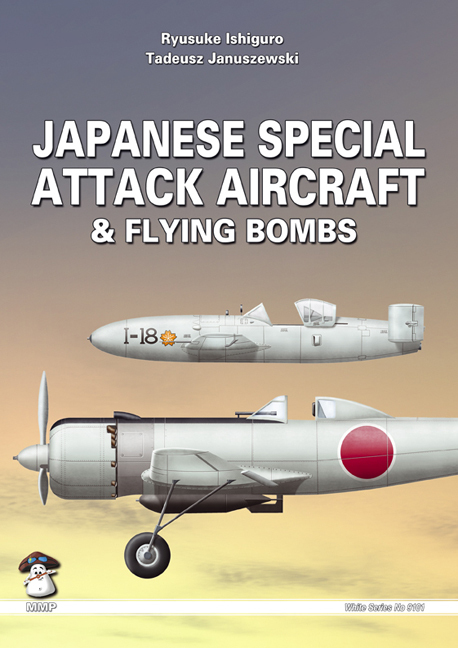 ~~~ Reknowned Japanese aircraft historian Richard Bueschel revises and updates his classic series of books on Japanese Naval and Army Air Force aircraft of World War II. 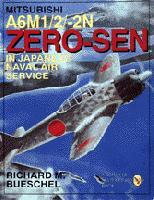 The A6M-1/2/-2N ZERO-SEN is the first volume. All variations and markings are covered in this the first of a projected multi-volume series. Cea, Eduardo. JAPANESE MILITARY AIRCRAFT: Aircraft of the Imperial Japanese Navy. Land-based Aviation, 1929-1945 (I). NEW copy, oversized paperback. (AF Editions, 2009). 8.25x11.5, 172 colored illustrations. 104 pages. ~~~ Japan was isolated from foreign influence for thousand years, with hardly any influence from the outside world, during which it developed a very particular culture different form the West. 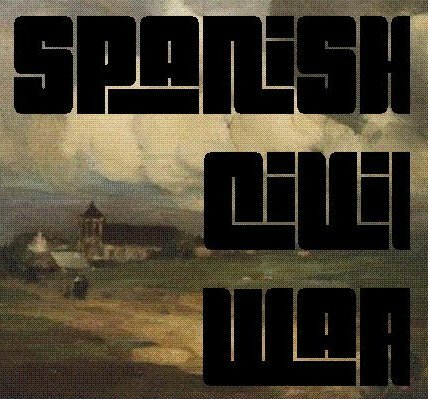 It became involved in the "Culture of Western Welfare" at the end of the 19th century. In this background the Japanese army and navy develop new weapons, tactics and machinery. 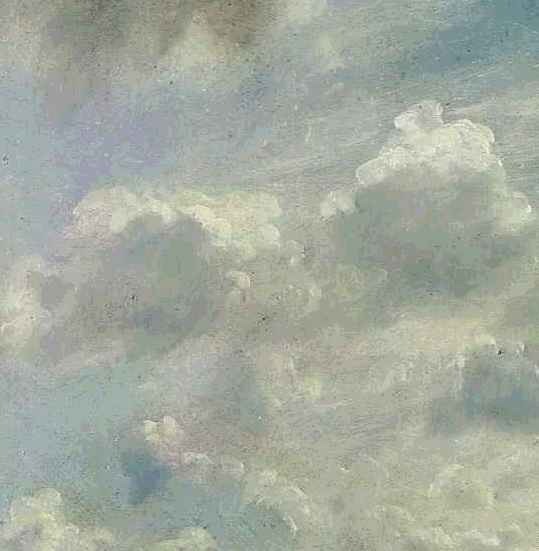 This book is about this changes, particularly the adaptation of its sky fighters to western patterns. In this forth book of our collection "Japanese Aviation", the author explores the aviation land based during the period 1922-1934. Cea, Eduardo. JAPANESE MILITARY AIRCRAFT: Aircraft of the Imperial Japanese Navy. Land-based Aviation, 1929-1945 (II). NEW copy, oversized paperback. (AF Editions, 2010). 8.25x11.5, 206 colored illustrations. 112 pages. 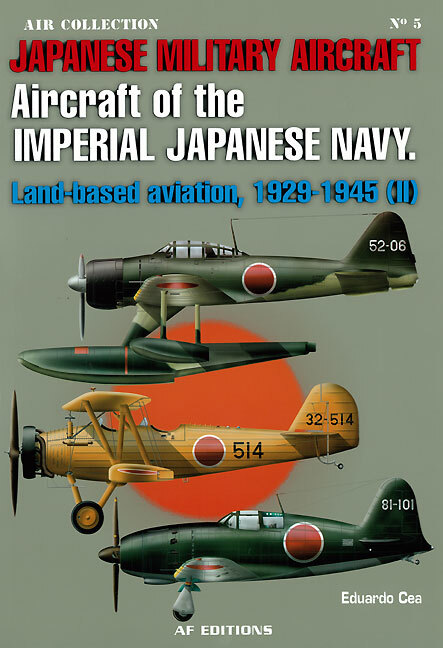 ~~~ This second volume of the naval aviation of Imperial Japan during World War II relates the history of land-based units, which corresponded to a numeral nomenclature chronological, unlike the first volume, whose units had the name of air base where they were organized. Cea, Eduardo. JAPANESE MILITARY AIRCRAFT: Bombers of the Imperial Japanese Army. tion, 1939-1945. NEW copy, oversized paperback. (AF Editions, 2010). 8x11.5, 244 colored illustrations. 152 pages. ~~~ After a historical introduction to the creation of the army aviation, it dedicates a chapter to the organization and major battles in the conquest and occupation of Manchuria and war with China, as well as the incident of the Nomohan against Soviet aircraft. 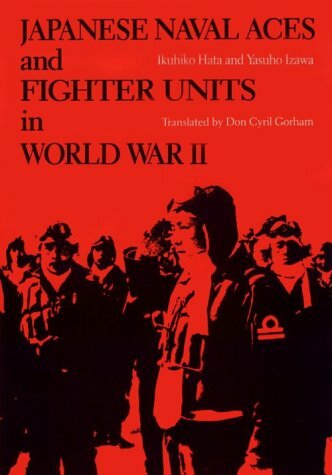 In the second section, it gives a brief history of the units equipped with bombers and ground attack aircraft. Edwards, Peter J.. 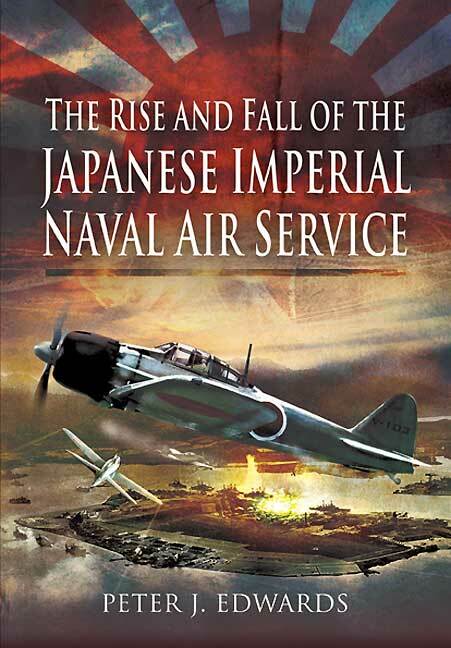 THE RISE AND FALL OF THE JAPANESE IMPERIAL NAVAL AIR SERVICE. NEW copy, hardcover with dust jacket. (Pen and Sword, 2010). 6x9.5, 68 photos and charts. ~~~ This book describes in considerable detail the people, events ships and aircraft that shaped the Air Service from its origins in the late 19th century to its demise in 1945. The formative years began when a British Naval Mission was established in Japan in 1867 to advise on the development of balloons for naval purposes. After the first successful flights of fixed-wing aircraft in the USA and Europe, the Japanese navy sent several officers to train in Europe as pilots and imported a steady stream of new models to evaluate. ~~~ During World War One Japan became allied with the UK and played a significant part in keeping the German fleets of ships and submarines at bay in the Pacific and Indian Oceans. However, in the international naval treaties that followed they felt betrayed, since the number of capital ships, battleships and cruisers, that they were allowed was below those of the USA and the UK. ~~~ Aircraft carriers were not included, so a program of carrier building was started and continued until World War Two. At the same time they developed an aircraft industry and at the beginning of war their airplanes were comparable, and in some instances superior, to those of the British and Americans. ~~~ Much prewar experience was gained during Japan’s invasion of China, but their continued anger with America festered and resulted in their becoming allied with Germany, Italy and the Vichy France during World War Two. There followed massive successful attacks on Pearl Harbor, the Philippines, the Southern Islands, Port Darwin and New Guinea. ~~~ The British were decimated and the USA recoiled at the onslaught, taking over a year to regroup and take the war to the Imperial Japanese forces. Throughout the conflict many sea battles were fought and the name Zero became legendary. When Japan eventually capitulated after the Atomic bombs were dropped the Japanese Imperial Air Service was disbanded. Hata, Ikuhiko and Yasuho Izawa, JAPANESE NAVAL ACES AND FIGHTER UNITS IN WORLD WAR II. 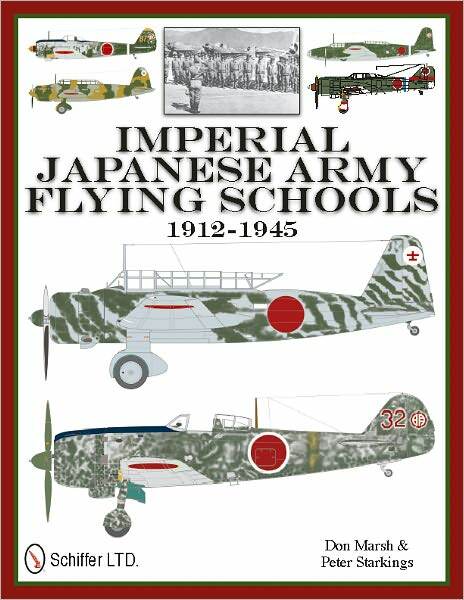 ~~~ The book details the history of Imperial Japanese Army Flying Schools from 1912 to 1945, covering not only the formation of the schools, but also evolution of the training aircraft and the training of pilots, other aircrew, and ground crew maintenance personnel. Includes numerous photographs, many of which have not been seen before in any English language publication. In addition the wide variety of aircraft types used and the different markings they carried add much colour interest to inspire modellers in a completely new field and are illustrated by some 400 colour art profiles. Ishiguro, Ryusuke. JAPANESE SPECIAL ATTACK AIRCRAFT & FLYING BOMBS. NEW copy, oversized paperback. (MMP, 2009). 8.25x11.75, 194 b&w photographs. 264 pages. 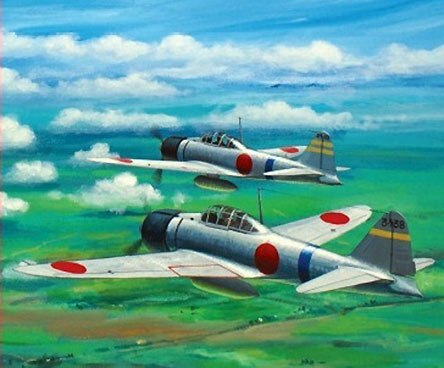 ~~~ Japanese Special Attack (Kamikaze) aircraft are well know, but not well described in literature. This book is the first in English on this subject. Details are provided of a wide selection of historic machines and fascinating color schemes, as well as full technical details. Hata, Ikuhiko, Yasuho Izawa and Christopher Shores. JAPANESE ARMY AIR FORCE UNITS AND THEIR ACES, 1931-1945. NEW copy, hardcover with dust jacket. (Grub Street, 2009). 6.25x9.5, Over 200 photographs. 400 pages. 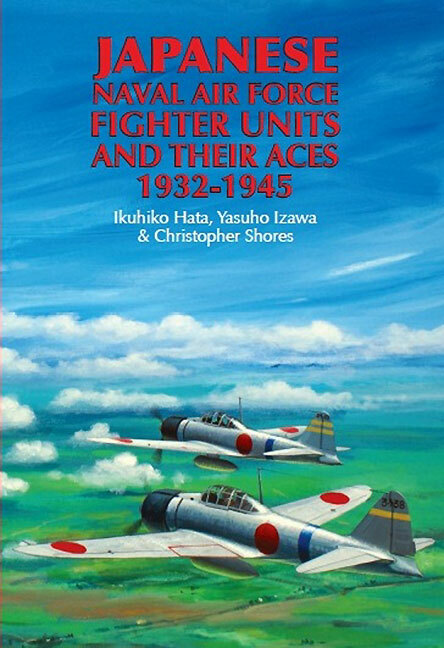 ~~~ Hitherto only available in Japanese text, this unique work is now published in English language format (reprinted now following exceptional demand) and provides an in-depth review of the fighter units of the Imperial Japanese Army Air Force and their pilots. ~~~ This translation is a companion volume to other Grub Street titles such as Aces High and Stars and Bars. It is and indispensable reference for the serious research student and historian. Marsh, Don and Peter Starkings, IMPERIAL JAPANESE ARMY FLYING SCHOOLS. NEW copy, hardcover with dust jacket. (Atglen, PA: Schiffer Books, 2001). Over 450 color and b&w images, 288 pages. Mikesh, Robert C, JAPANESE AIRCRAFT CODE NAMES AND DESIGNATIONS. NEW copy, trade paperback. (Atglen, PA: Schiffer Books, 2008). 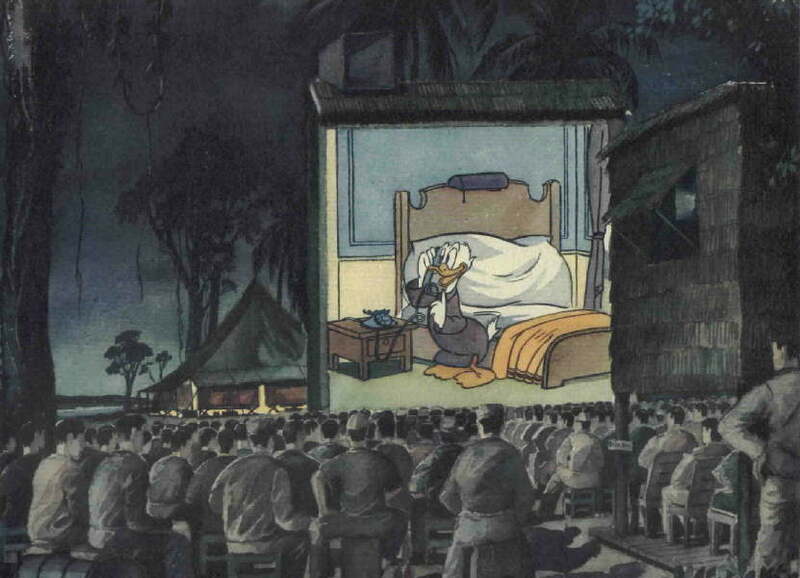 6x9. Over 170 b&w photographs, 192 pages. 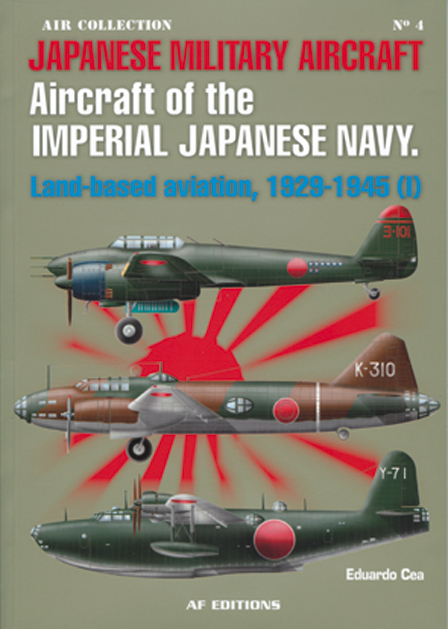 ~~~ From ABDUL to ZEKE, this handbook covers all Allied designations for Japanese Navy/Army aircraft of WWII. Each aircraft is presented alphabetically according to its code name, and is also cross-referenced to its official (long) designations and project (short) designations. .
Mikesh, Robert C, JAPANESE AIRCRAFT EQUIPMENT 1940-1945. NEW copy, hardcover with dust jacket. (Atglen, PA: Schiffer Books, 2004). 9x12. Over 410 b&w photographs, 224 pages. 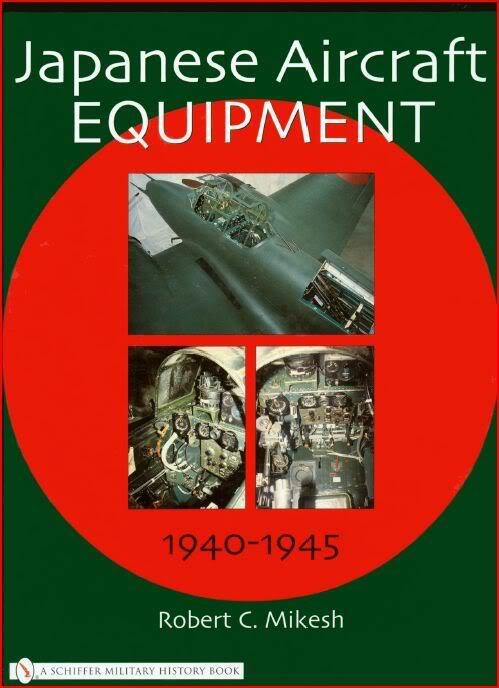 ~~~ As a companion book to the previously published Japanese Aircraft Interiors, by the same author, this book defines more closely the equipment that outfitted these aircraft. There are chapters on such aircraft installed equipment as instruments, radios, cameras, machine guns and cannons, gunsights and bombsights used by the Japanese Army and Navy air forces. The opening chapter describes the history as to how much of this equipment was captured and now is in the hands of collectors and museums. The closing chapter has additional information on colors and coatings used in these interiors. 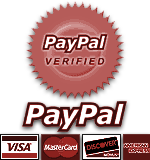 This information will aid collectors to more definitively identify equipment that may not otherwise be clearly marked. Experts in these respective fields have been major contributors. Shores, Christopher and Ikuhiko Hata. JAPANESE NAVAL AIR FORCE FIGHTER UNITS AND THEIR ACES, 1932-1945. NEW copy, hardcover with dust jacket. (Grub Street, 2011). 6x9.25, profusely illustrated with photographs, maps and artist’s side-view drawings and paintings of aircraft relevant to each of the units described. 416 pages. 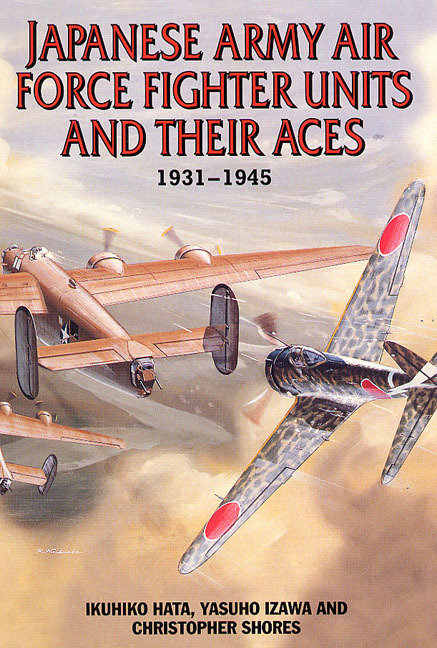 ~~~ This book is a companion volume to Japanese Army Air Force Fighter Units and Their Aces, 1931-1945, published by Grub Street in 2002. As such it also represents a major updating and rewriting of Messrs Hata’s and Izawa’s earlier book of similar title, published in the USA some 20 years ago. ~~~ The book commences with a comprehensive account of the operations of navy fighter units throughout the period under review. This is followed by individual sections detailing the history and achievements of each unit involved, be it land-based or aircraft carrier-based. A major section then provides biographical details regarding all pilots claiming eight or more aerial victories. ~~~ As might be expected of such a work, prolific appendices provide detailed listings of all pilots known to have claimed five or more victories (and thus considered to be ‘aces’); listings of the graduation from training of all Japanese Navy fighter pilots, and of fighter pilot casualties. 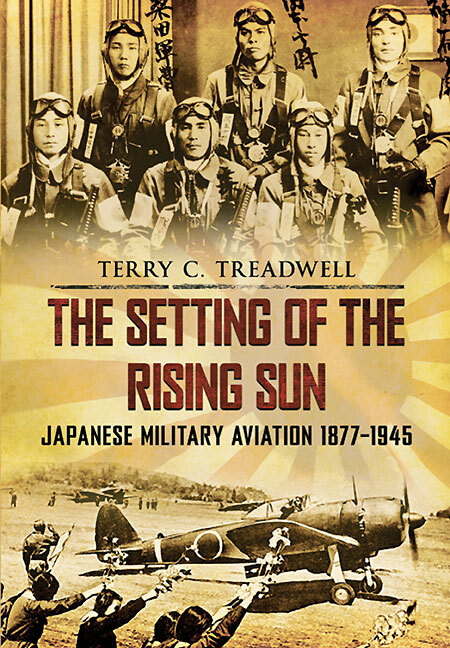 Treadwell, Terry C. THE SETTING OF THE RISING SUN: Japanese Military Aviation 1877-1945. NEW copy, trade paperback. (Amberley, 2011). 7x10, 220 illustrations, 224 pages. ~~~ ‘Tora, Tora, Tora!’ The reports came back of the surprise attack on Pearl Harbor. The attack was the culmination of over fifty years of progress in Japanese military aviation, from kites, balloons and gliders to the Zeros, Kates and Vals that sank so many American vessels and destroyed so many aircraft on 7 December 1941. ~~~ Telling the story of Japanese military aviation from the mid-Victorian era, a time when Japan was only just beginning to open up to the rest of the world, Terry Treadwell illustrated the story with a fascinating selection of images of the personalities and aircraft involved in the development of aircraft by the Japanese. Creating some of the iconic designs of the Second World War, it is hard to believe that the Japanese created so many classic military aircraft, but they understood the need for aircraft carriers, for long-range bombers and for fighters as comfortable on the deck of an aircraft carrier in a choppy ocean as for the ability to land and take off in rough jungle airstrips. Borrowing German technology, the Japanese even created their own jets, including suicide flying bombs as well as a version of Messerschmitt’s infamous Me163 rocket fighter. 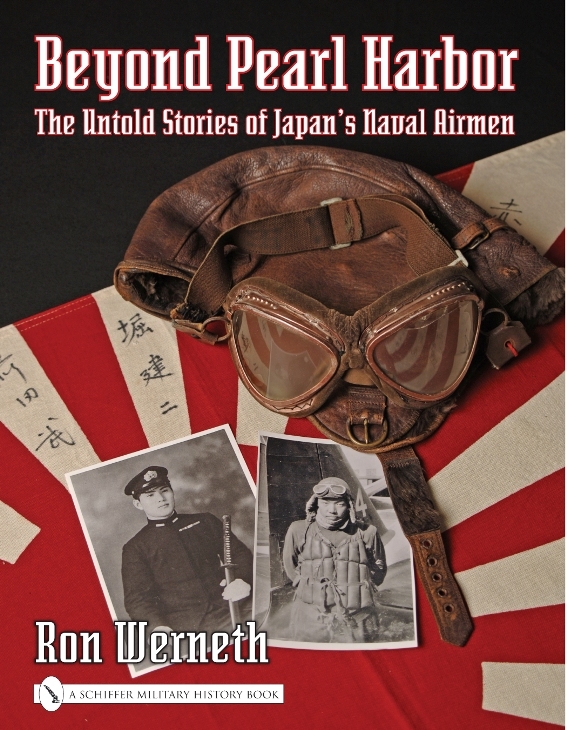 Werneth, Ron, BEYOND PEARL HARBOR: The Untold Stories of Japan's Naval Airmen. NEW copy, hardcover with dust jacket. (Atglen, PA: Schiffer Books, 2004). 8.5x11. Over 150 b&w images, 288 pages. ~~~ This book is the story of the air war in the Pacific through the eyes of the last surviving Imperial Japanese Naval aviators of World War II, chronicled through never before published first-hand accounts, wartime diaries, and private photographs. Living in Japan for over half a decade, the author befriended the survivors of Pearl Harbor, Midway, Guadalcanal and Iwo Jima to gather this trove of stories and images. Meticulously translated and painstakingly researched, all of the veterans' accounts in this book are supported by both official Japanese and Allied records, together with first-hand narratives of American and British participants in these pivotal, historic battles. Lippincott, Lt.Col. 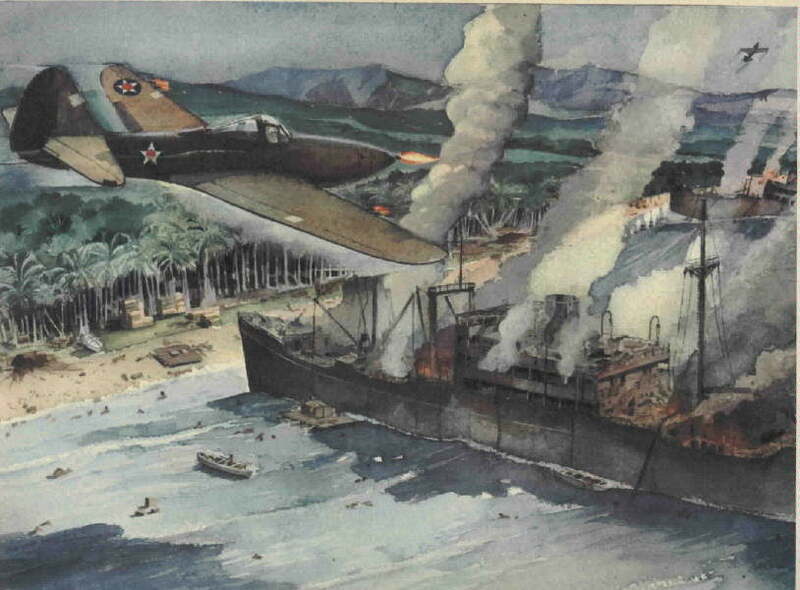 Benjamin E., Historian 13th Air Force, with watercolors by S/Sgt Robert A. Laessig, FROM FIJI THROUGH THE PHILIPPINES WITH THE 13th AIR FORCE. 1948 edition. 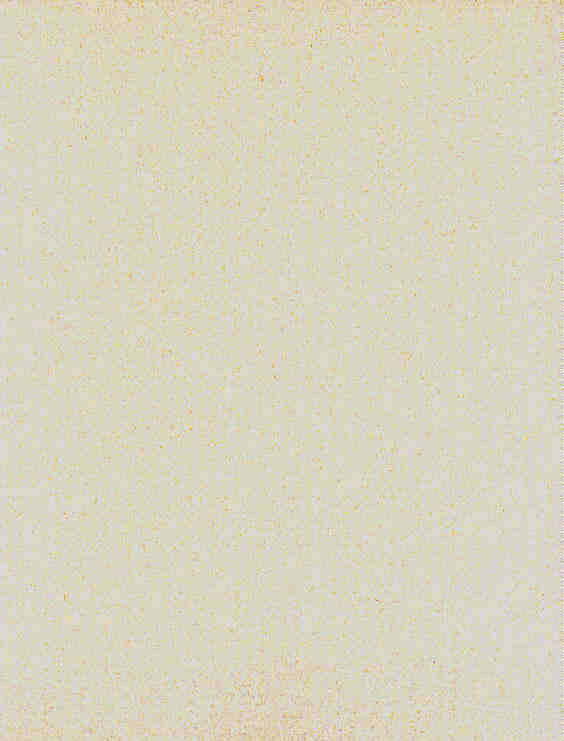 Over ninety 13x10 prints from the original watercolors. SCARCE. 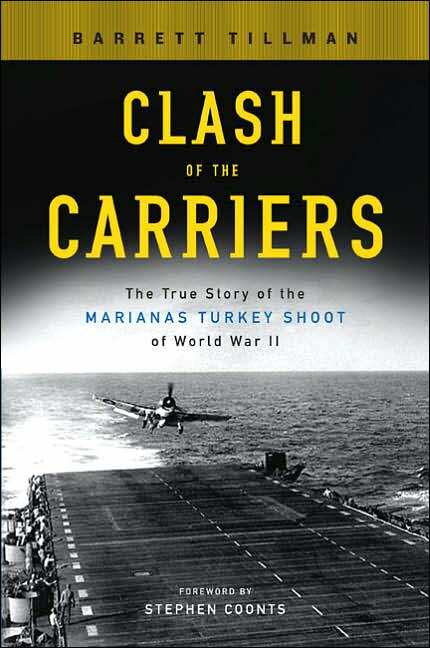 Tillman, Barrett, CLASH OF THE CARRIERS: The True Story of the MARIANAS TURKEY SHOOT of World War II. NEW copy, hardcover with dust jacket. (NY: NAL Caliber, Penguin Group, 2005). Map, photographs, appendices, notes, bibliography, index, 348 pages. ~~~ In June, 1944, American and Japanese carrier fleets made their way through the Philippine Sea, both hoping to take control of the vital Marianas Islands. When they met, they embarked upon a naval engagement that escalated into the most spectacular aircraft carrier battle in history. Here is the true account of the battle, told from both sides-by those who were there. Drawing upon numerous interviews as well as official sources, Clash of the Carriers is an unforgettable testimonial to the bravery of those who fought and those who died in a battle that will never be forgotten.